This week is World Craft Week, so I thought I'd take the opportunity to tell you about some of my non-knitting crafting adventures. So far I have written about cross stitch and sewing, today is the turn of crochet. I had been interested in crochet for many years before I actually got round to doing any. As a child I had been played with yarn a lot, seeing what I could do with yarn using just my fingers, mostly plaiting, twisted cords and knotting, but also creating what I now realise were long crochet chains. The only trouble was that I didn't know anyone who could teach me. Fast forward to my final year at university, when I was working in industry and finally had enough disposable income that I could afford to buy my own craft materials. That Christmas I asked for a beginners book on crocheting (Start Crochet by Jan Eaton) and sat down over the holidays and taught myself. I've never been one to start with something simple, and after crocheting a ripple scarf I decided that I would crochet a double bed sized blanket for some friends as a wedding present. And so I made my first project, a join as you go granny hexagon blanket in all the colours! The house I lived in that year was very close a branch of Boyes (a shop that sells everything, and each branch has its own haberdashery department) so I picked up another ball of yarn whenever I fancied. 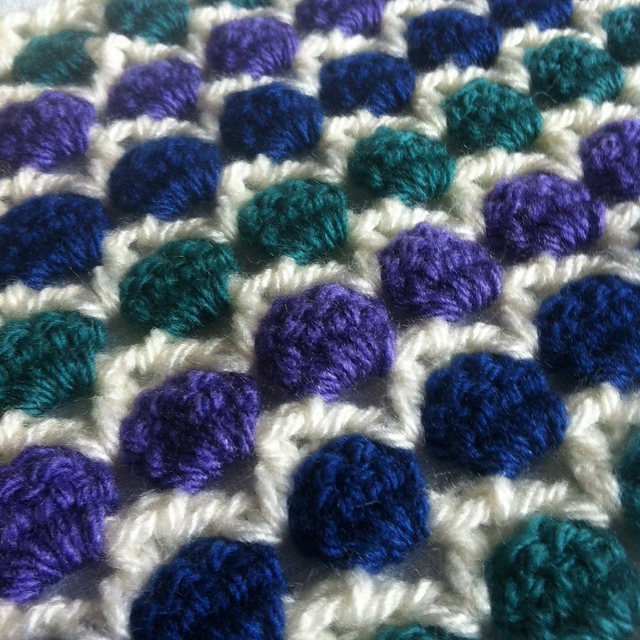 The blanket went down well with my friends and I have since made several more crocheted blankets as wedding presents. I really like crochet for homewares; crochet grows faster than knitting, and is generally a bit denser, making it really cosy. But I'm not keen on it for garments, so I don't do it that often. I have also used crochet for toys; I love the way that there is only one stitch on the hook at any time, so you can always see the shape you have created, which makes it much easier to improvise a shape than with knitting. Every time I go to a yarn festival and see the TOFT stall I have a little longing to crochet some animals, but the fast-growing nature of crochet means I'd run out of homes pretty quickly! My daughter has recently started requesting unicorns though, so maybe I do have an excuse to make one. 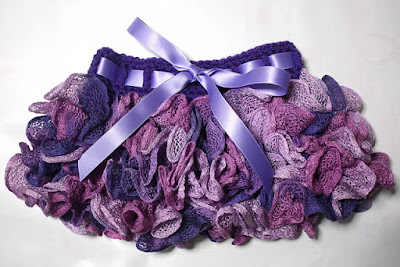 Silly, but I had a lot of fun making this skirt! 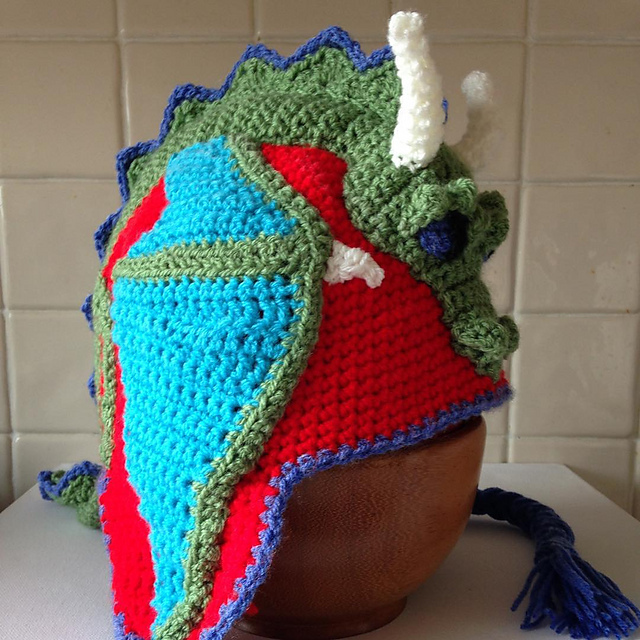 Can you crochet? What's your favourite thing to make? Favourite thing to make? Probably blankets. Although I need more people to a) get married and b) have babies as I'm running out of recipients. I do love the TOFT animals, but again, need to be restrained! Yes, blankets take up a lot of space! A small child requested it and his mum said she'd ask me. It did feel like it was more of an order, but I a man so glad I did it. Never again though!